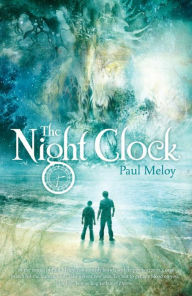 The Night Clock by Paul Meloy is a so-so horror/fantasy set in London. Phil Trevena is a mental health worker whose patients are killing themselves. This trend actually signals the start of the end of all reality unless he and a time traveling hypnopomp named Daniel can help the Firmament Surgeons stop the Autoscopes and keep the Night clock running. The Night Clock is a dream/nightmare world that switches between characters points of view, settings, realities, and time. It took intense concentration to follow who was what and where and why as more and more characters and elements were added to the story. Opening in a world where Mars is the moon and then switching to a scene with a zombie attacking a farmhouse, I thought I had misunderstood the description and this was a collection of short stories, but after the two jarring opening scenes, the actual novel starts. Meloy is a descriptive writer and packs a lot of information into his sentences and chapters. He also has a whole host of characters and incidents taking place. This may be the indicator of the underlying problem I had with The Night Clock. It was, simple put, difficult to engage with any of the characters and hard to follow the plot. This resulted in the feeling that Meloy needed a larger canvas for this story, perhaps a series set in this world rather than cramming everything into this one book. Disclosure: My Kindle edition was courtesy of Rebellion Publishing for review purposes.